Aizawl, Jun 27 : Mizoram government sent doctors and supporting staff to south western Mizoram area in Lawngtlai district adjoining Bangladesh where malaria outbreak in an epidemic form has been reported. C. Zarzoliana, Joint Director (malaria) of the state health services department said that villages as Parva I and II, Devasora and Damdep have been affected by the disease last week. 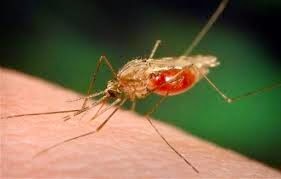 In Damdep village, 11 per cent of the villagers were having malaria while it was seven per cent in other villages and there was high incident of PF cases, Zaorzoliana said. A medical team from Aizawl, accompanied by doctors from Lawngtlai Chief Medical Officer's office were sent to the villages where a large number of people were diagnosed and treated immediately after the outbreak of the disease, he said. The villages were extremely remote where many of the affected people could not avail medical treatment due to poverty.